So my camera broke. My faithful little Sony A5000...poor little guy. He's being operated on right now, having his guts gutted out. He'll return home in a few weeks. Pray for his speedy recovery. So I've been lugging around his older brother, specimen #D5300. Hefty ol' thing. I've been wanting to try Ramen Gojiro since they opened (I was waiting for the hype to die down, I hate crowds.) 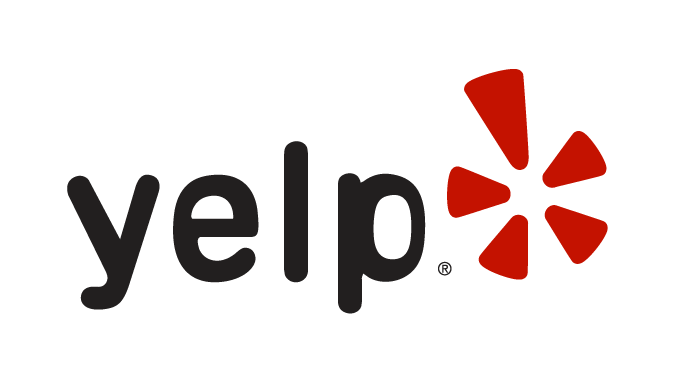 I've read some great and not-so-great reviews online, but decided that I wanted to see for myself...taste is subjective, after all! 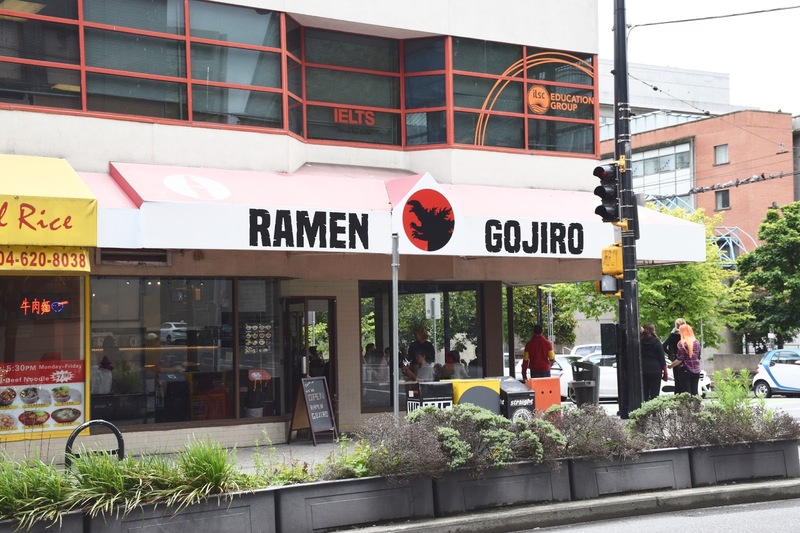 Intrigued by the concept of jiro-style ramen, I decided to make the trek downtown to see what all the fuss was about. The promised fried chicken sealed the deal. 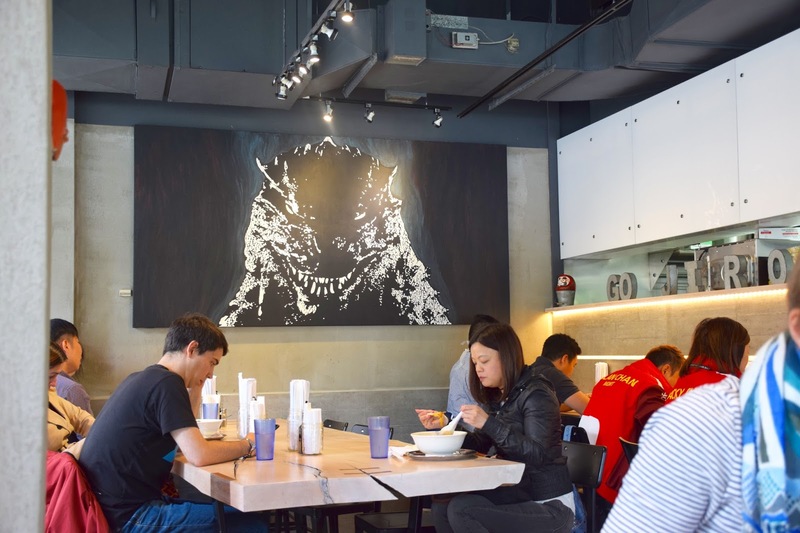 The ramen was a sight to behold. 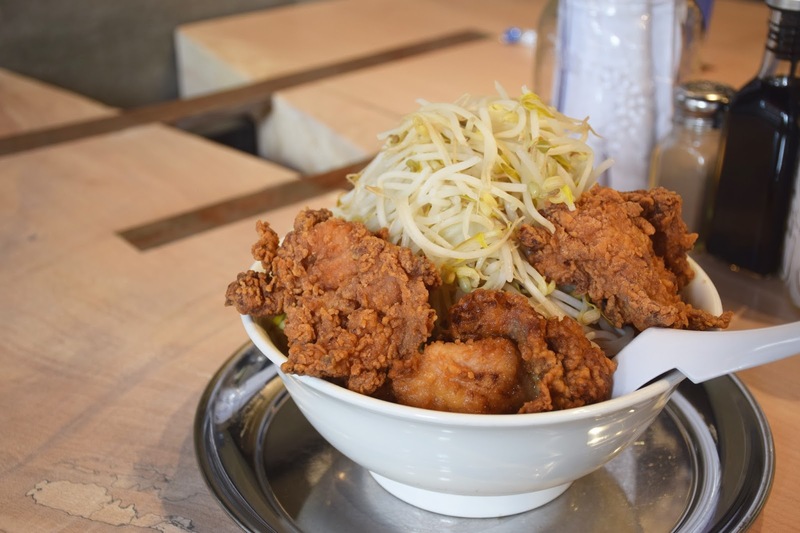 A massive, deep ended bowl piled high with bean sprouts...adorned with a brooch of fried chicken. I hungrily devoured my chicken kaarage and ordered a second plate. The girl who served me was unbelievably nice! A girl plopped down next to me just as I was about to begin my meal and she was wearing a really strong perfume. I started sneezing (I'm allergic to perfume) so I asked the waitress if I could change seats...and she happily obliged!! Looks like they updated their menu! 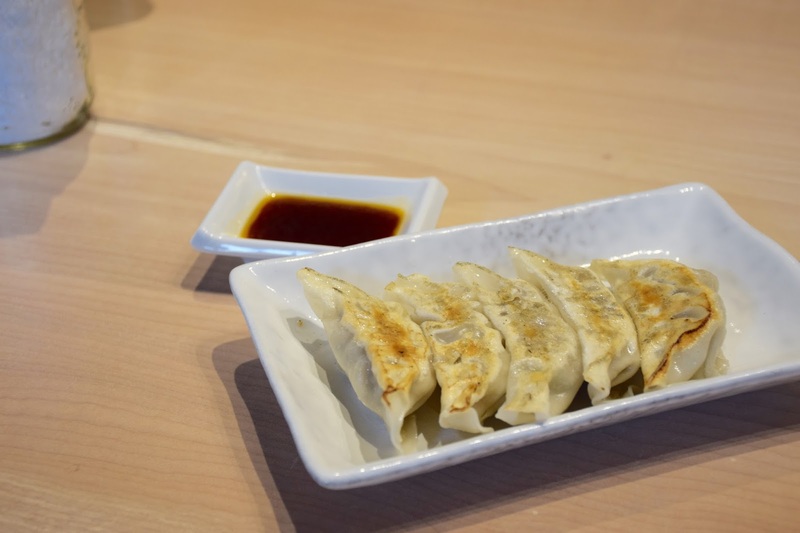 First up, an order of gyozas to start. When they arrived, they didn't look very promising. Pale and unevenly charred. The taste made up for it!! These little morsels were packed with flavour, no dipping sauce needed!! The filling was adequately moist as well. Admittedly, the broth needed some work. The broth tasted like bean sprouts. I drank all of the soup, and all I could taste was the bean sprouts. I didn't really mind though (I love bean sprouts!!) It might just be because I ordered the "light" broth, so the tonkatsu got overshadowed by the veggies. I'll definitely trying the "rich" option next time!! The noodles on the other hand, were awesome, thick, toothsome, and bouncy! After polishing off the 4 pieces that came with my ramen, I obviously had to get more!! So I ordered another side of chicken kaarage, which came with 5, massive pieces!! 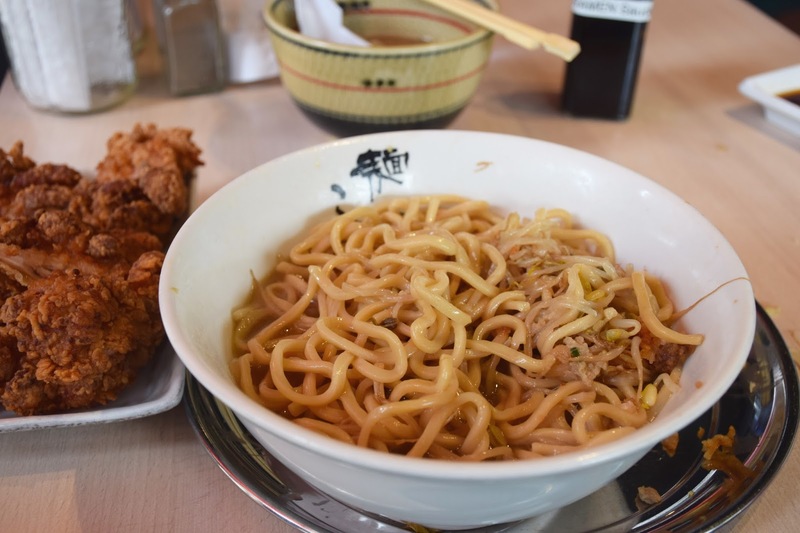 This was some of the best chicken kaarage I've had at a ramen joint. Juicy, succulent, and perfectly seasoned. The breading was tres excellent! Lovin' the thick, Jiro-style noodles! 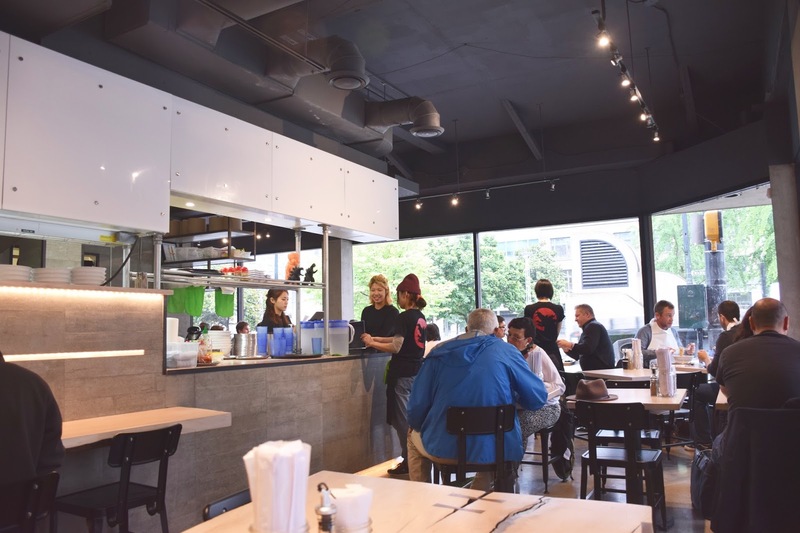 One of the most spacious ramen joints I've been to! 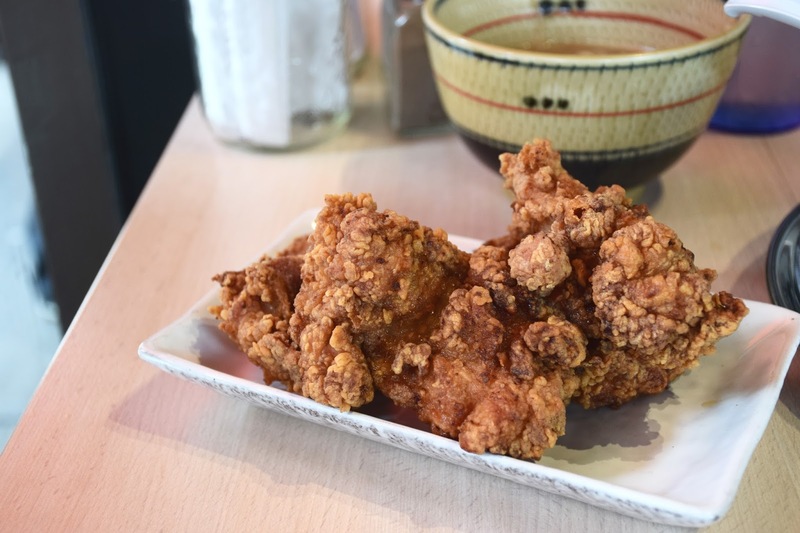 Would you say the Chicken Karaage is better than the one from Mogu (the food truck)? 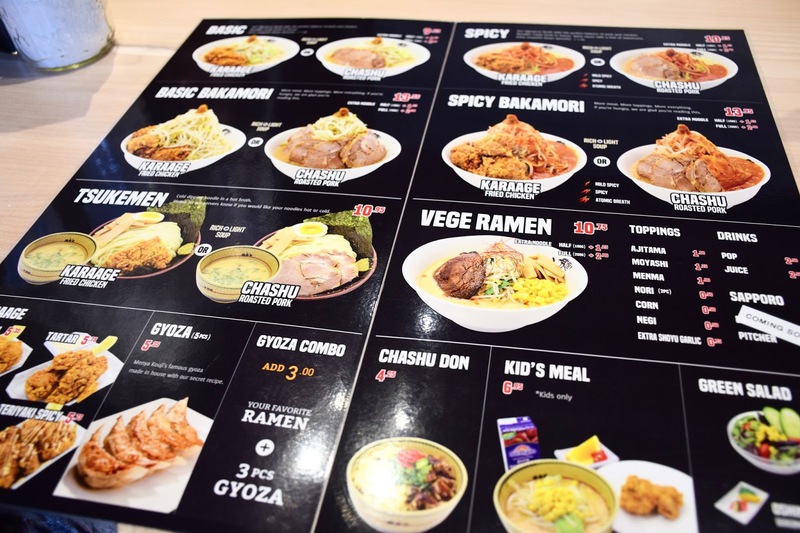 Maybe I'll go just for the chicken karaage!